Novotel Thalassa Dinard aims to combine the charm of the Brittany coastline, the pleasure of the senses and the kindness of its staff. We will be on hand throughout your visit to make sure you enjoy the full benefits of a stay with us. 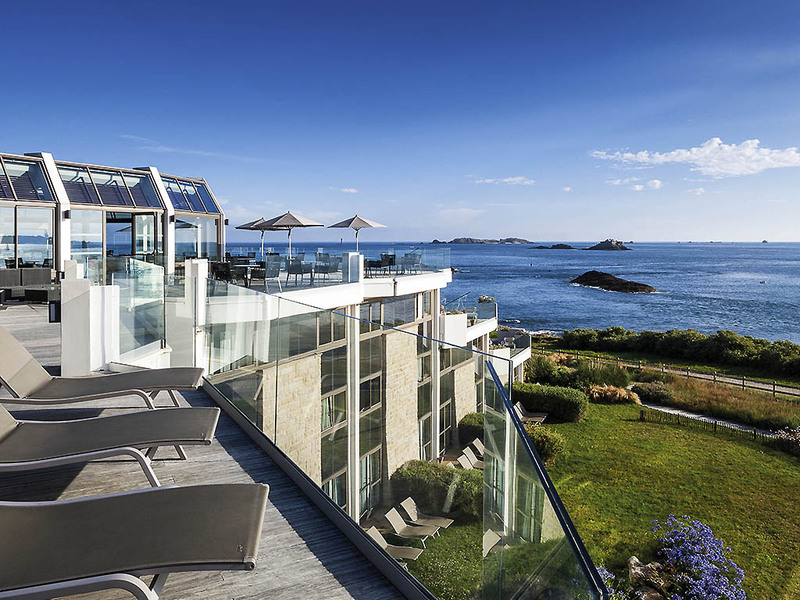 Relax at Thalassa Dinard and contemplate the Bay of St Malo. Enjoy the comfort of your room with sea view or facing parking/garden. Whether for a weekend or a week, for two or the family, bask in plenty of light, surrounded by warmth and attention. Discover the tides from the Albatros Bar or the O'Sens restaurant. Breathe in! Dinard, an elegant and lively location. Move to the rhythms of events in this pearl of the Emerald Coast: Comedy Festival, International Jumping, Music Festival and British Film Festival. Dinard: the perfect place to relax, discover and escape! Take a seat at the bow of the Hotel Novotel Thalassa Dinard, looking out to sea. Gaze at the ocean and take in the panoramic view, be soothed by the waves, savor a fruit cocktail and enjoy a bite to eat as you head back to the beach. Bon voyage! Massages from around the world, rituals, slimming routines and expert facial treatments (Skinceuticals, Aquascience, Salins de Biosel). All our treatments are personalized and offer escapism from everyday life. Download our program and book now!